DBT remains the only psychosocial treatment for Borderline Personality Disorder with scientific data gathered from numerous studies. 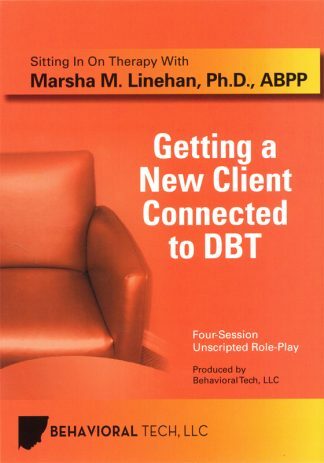 In this series of DBT skills training videos, Marsha Linehan, the developer of DBT, guides practitioners and clients alike through essential DBT skills. 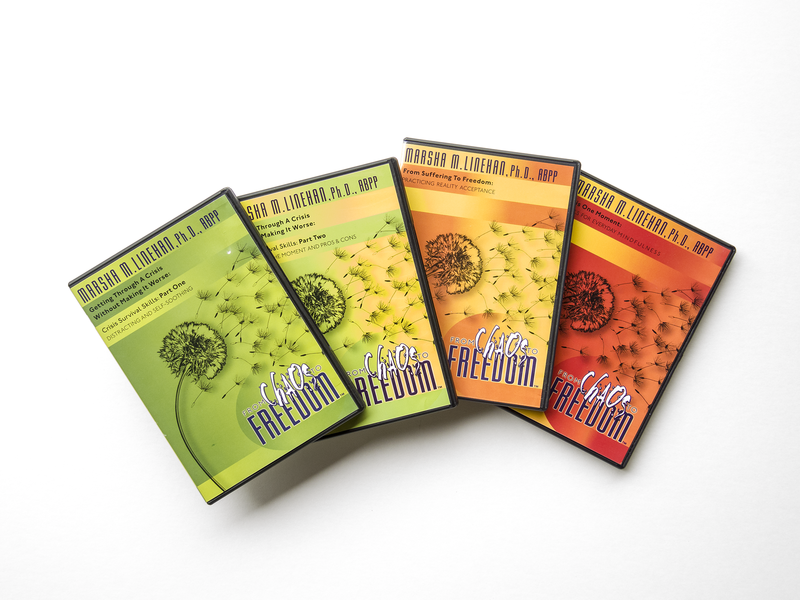 All four videos in the From Chaos to Freedom series go well beyond Linehan’s (1993) Skills Training Manual for Borderline Personality Disorder to incorporate her latest ideas for how to apply these skills and solutions to common barriers. Filled with humor, personal stories, exercises, and demonstrations, Linehan guides her viewer through step-by-step instructions in skill application. While developed for use by clients as a therapy adjunct, many treatment providers have used these skills to learn the skills themselves, train new staff, and get new teaching examples and stories for use with their own clients. These videos were made through funding from NIMH with extensive input and critique from former DBT consumers. 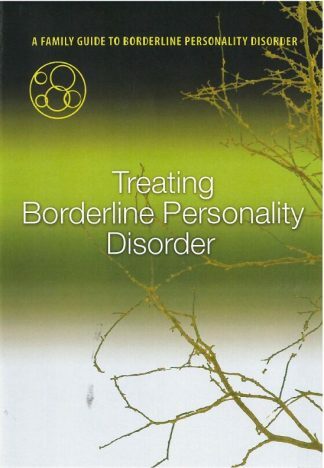 These videos also make reference to the hand-outs and worksheets available in Linehan’s (1993)Skills Training Manual for Treating Borderline Personality Disorder. The new edition of the Skills Manual is now available: DBT Skills Training Manual: Second Edition. 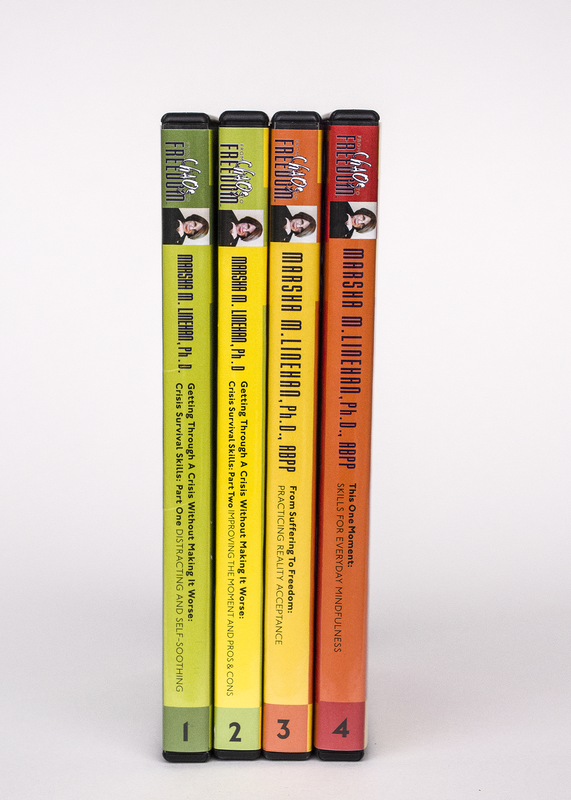 This updated edition greatly expands on DBT skills while still containing the original content from the 1993 manual. These videos are now available to stream online through our Vimeo site: Streaming Videos for Clients and Families. If you already love these videos, you may also be interested in Opposite Action: Changing Emotions You Want to Change.